Took care of my foot problem very quickly! Gave me some suggestions to prevent future problems. Very good doctor! He got to the point and was very helpful . Dr Hollander and his staff were very helpful and efficient. PLEASE ADVISE: If you have not seen Dr. Hollander in the past 3 years, please be sure to select "I'm a new patient" when booking your next appointment. 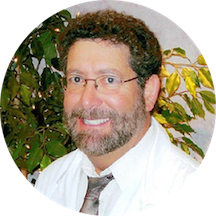 Dr. Hollander has been in private practice in Santa Rosa for 30 years. He is a Board Certified Foot Surgeon and Fellow of the American College of Foot and Ankle Surgeons. He is the director of the foot and ankle clinic at Sonoma County Indian Health and a consultant to the Medical Board for the state of California. If you're an existing patient, and have seen Dr. Hollander within the last three years, please book a Foot Follow Up appointment. If you're a new patient, please book an initial Foot Consultation. My first visit. Dr. Holland inspired hope that this latest and worst flare up of plantar fasciitis is going to be resolved soon! His protocol was thoroughly explained. Dr. Hollander is very personable and informative. Came up with a plan to figure out my feet. Very pleased I made this appointment! Thought he was extremely helpful, pinpointed the problem immediately and gave me really concrete solutions. Wish I had come to him sooner instead of suffering with this easily fixable foot problem. Very professional, timely, I was treated well, I hope to heal quickly with his and the staff's help. The doctor explained in plain language what the problem was, offered suggestions on how to fix it, and took the time to answer questions. I like him. I like him and his staff! Everyone is friendly, helpful, knowledgeable, and efficient. They go above and beyond to make sure they do everything they can to make sure your needs are met. Attentive and caring. Very friendly staff. Lovely man, helpful, attentive and very professional. No wait. I got in right at my app. time. Welcoming and knowledgeable staff. Didn't feel rushed during my appointment and felt Doctor Hollander took the time to ask questions to clarify issues. Clean facility. Would definitely recommend Doctor Hollander for podiatry. Very Kind and made me feel comfortable. Seem to be caring and professional. John was friendly and easy to talk to. He explained his thinking and asked my input/opinion. I couldn't have asked for more. He gave me a concise treatment plan that helped me organize care for my foot. He was personable. His staff was professional and seemd to enjoy their work. Very knowledgeable, explained himself well, gave me options. Dr. Hollander is obviously very good at what he does and is very thorough. Everyone in the office is very nice and helpful. I have only been there twice and when I called to make another appointment the receptionist knew who I was just by saying my first name. Dr. Hollander is very attentive to my needs. He have a very good sense of humor! It's worth feeling bad, just to visit with John. Short time till appointment, nice friendly people, quick work in the treatment room. What's not to like?? Great bedside manner. Takes his time to explain things clearly. I saw him for the first time over 10 years ago and he is as good now as he was then! Excellent office staff as well. I was given important information both verbally and in written form. I was listened to and all my questions were answered. I was very comfortable with Dr. Jon Hollander and his staff.I would recommend him to everyone. Good experience. Very professional staff. I have seen Dr Hollander several times for various foot related problems. He is an excellent doctor as well as a very nice man. I am very impressed by the fact that his staff does not change; hence, they are well treated and have a great work environment. Dr. Hollander is extremely pleasant, easy to talk too. I waited only 2 to 3 minutes! Great doctor, great staff! Highly recommend him!!! Jeff S.
Best experience I've had in a Dr. office ever! And I mean literally, not figuratively. The office's use of technology for patient scheduling and intake is exceptionally well-executed. Searched for podiatrists in my zip code online and arrivedat ZocDoc. Selected Dr. Hollander based on his high review rating, but also the fact that he takes my insurance. Used the easy online appointment scheduling tool, recieved an appropriate amount email/text appointment reminders, and was even offered the ability to complete all of my new patient forms online ahead of time (is there anything worse than having to fill out the reams of forms you normally have to do as a new patient!?!?!). Staff was delightful. ALL were upbeat, kind, authentic, and thoroughly professional from front desk to nurse to xray tech - his staff clearly like what they do and where they do and it shows. Bonus points for in-office x-ray machine - total pain when you have to go somewhere else - and 'patient gift/info bag.' I sought a second opinion on a previous diagnosis. Dr. Hollander was all of things you wish every doctor you visit would be: PROMPT/ON-TIME, patient, kind, an excellent listener, and educator - plus he's got a good sense of humor. He didn't just re-confirm my diagnose, he thoroughly explained what was occurring using a foot model and illustrations. He then offered a common sense solution and even provided a list of recommended shoes by activity AND where they could be purchased locally!!! I know... right!? What more could you want? In and out in under an hour. Excellent experience - Kudos Dr. Hollander and Team! Excellent physician and staff care. He was very informative, way more than previous podiatrists I have seen. I left knowing what I should do to ease my pain, I highly recommend him. He is personable, informative, and upbeat - a very model of the physician I am seeking. I recommend him without reservation. I only wish he could be cloned and spread about widely from coast-to-coast. I saw Dr. Hollander several years ago and had forgotten how much I really liked him and his staff! Excellent care! Highly recommend! Dr. Hollander really listens to my foot issues, and has good solutions to help relieve the pain without using drugs. He has a very calm demeanor which helps his patients relax and pay attention to his advice. Great appt. Seen right away and the office staff was very helpful. I am so happy that I found him! He was perfect in dealing with a scaredy cat like me. My visit with him today was the best! I am not afraid anymore. It was great as I described above but my objective is for my foot to heal from the malady I have and yesterday was the start. I won't know for a month if the regimen of treatment activities I have beengiven will work. I am hopeful that Dr. Hollander's approach will work. I have complete confidence in Dr. Hollander and his staff and would recommend them highly to anyone needing podiatry care. Very attentive and explained things well. The Doctor knew exactly what the problem was with my feet and prescribed a treatment routine to resolve the problem immediately. Very confident and displayed a high degree of compedence. Appeared interested in me as his patient. This guy seems to know his stuff. He had a good sense of what might be going on and delivered his thoughts in a way that I could easily understand. He had written information that I could take home with me,including strategies for dealing with the diagnosis. His staff is professional, warm, and friendly. I like the convenience of on line appointments and the respect for the patient's time. The only recommendation that I have is that the office staff turn down the radio in the waiting area. The volume was high and the station is somewhat obnoxious and it was difficult to tune out the noise while I was trying to wait and read. The staff was very professional and accommodating. Dr. Hollander was very knowledgeable, and easy to speak with. I would recommend him to others. Go listener and very knowledgeable. He was warm, friendly and very knowledgeable. The staff is very kind and helpful. I was helped and got relief for my problem.